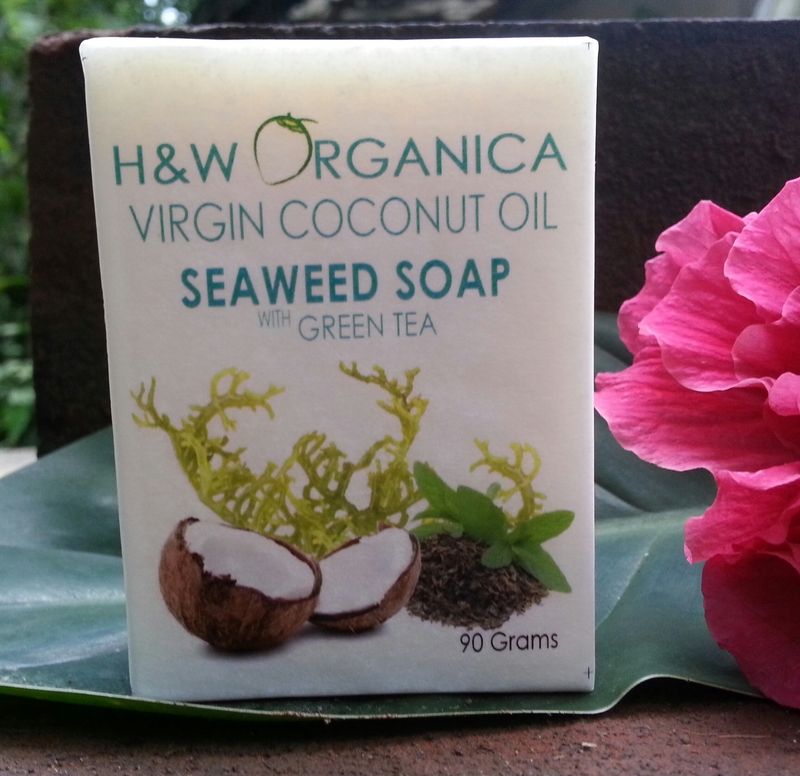 The greatest benefit of seaweed soap is that no other soap exfoliates the skin without drying it compared to seaweed soap. Exfoliation is the removal of the oldest dead skin cells on the skin’s outermost surface. This is very important to understand. Traditional soap do exfoliate, but the problem is that it dries your skin to enormously. That is a big deal for us because we all want to avoid dry skin, which is a major cause of wrinkles and other skin issues. Where as with seaweed you will have the best exfoliation that you will ever experience while not losing the moisture in your skin. You can a little body lotion after shower to preserve the moisture. Our seaweed is a part of the regions aqua marine products and locally grown in the region it is locally termed as “guso” . When a friend of mine who is a chemist from Europe visited me for product development, he suggested to make a product out of this spiky and very delicious salad “guso” since, it is loaded with many sea minerals and vitamins that helps in skin firming and skin moisturizing. It is the sea’s hidden elixir of beauty. A perfect mixture of virgin coconut oil and Green tea essential oil, this soap will give you a breezy feel thus keeping your skin healthy, young and glowing. Enjoy soaping! Benefits of Seaweeds. Blood Purifying: The chemical composition of seaweeds is so close to human blood plasma, that they are excellent at regulating and purifying our blood. High in Calcium: They can contain up to 10 times more calcium than milk and 8 times as much as beef. Blood Purifying: The chemical composition of seaweeds is so close to human blood plasma, that they are excellent at regulating and purifying our blood. High in Calcium: They can contain up to 10 times more calcium than milk and 8 times as much as beef. Alkalizing:They help to alkalize our blood, neutralizing the over-acidic effects of our modern diet. Have Powerful Chelating Properties: They offer protection from a wide array of environmental toxins, including heavy metals, pollutants and radiation by-products, by converting them to harmless salts that the body can eliminate easily. Contain Anti-oxidants: Seaweeds contain lignans (naturally occurring chemical compounds) which have anti cancer properties. Detoxifying: They are rich in chlorophyll (the pigment that makes some seaweeds green) which is a powerful, natural detoxifier that helps to draw out waste products. Boost Weight loss: Seaweeds play a role in boosting weight loss and deterring cellulite build-up. Their naturally high concentration of iodine, helps to stimulate the thyroid gland, which is responsible for maintaining a healthy metabolism. At the same time, its’ minerals act like electrolytes to break the chemical bonds that seal the fat cells, allowing trapped wastes to escape.